I thought this short video from Orvis was great. See if this technique won't help you become a better caster. 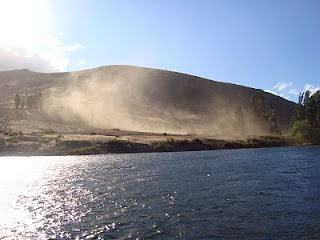 By the way, the photo at the left may give you an idea of the wind on this Argentine float trip. Thank goodness it didn't last all day. Wish I had watched this video before I went.